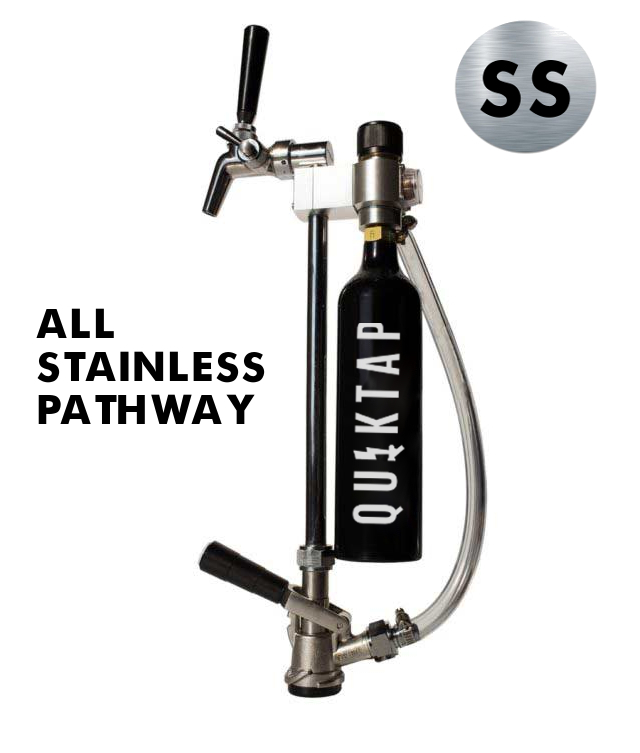 The QuikTap SS is the only beer keg tap with an all stainless steel pathway. The coupler, tap rod, and faucet are constructed of 304 stainless steel. That means stainless is the only thing that ever touches your beverage. 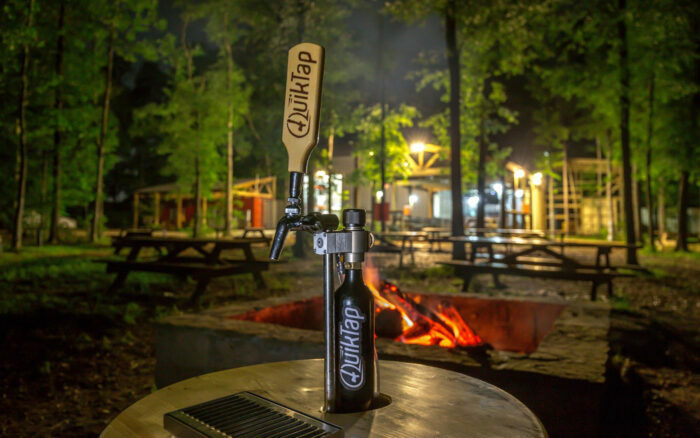 Now you can run your toughest cleaning solutions and sanitizers through your QuikTap to keep your beer tasting great. 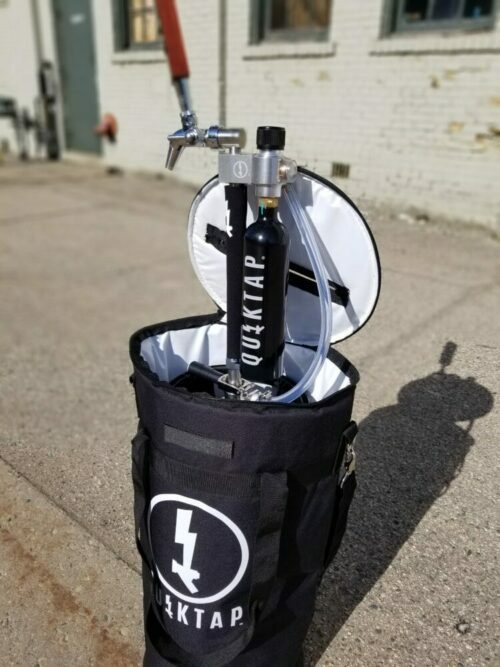 Excellent for serving beer, wine, coffee, kombucha, or spirits. The QuikTap Portable Beer Keg Tap gives you professional performance in a portable package. 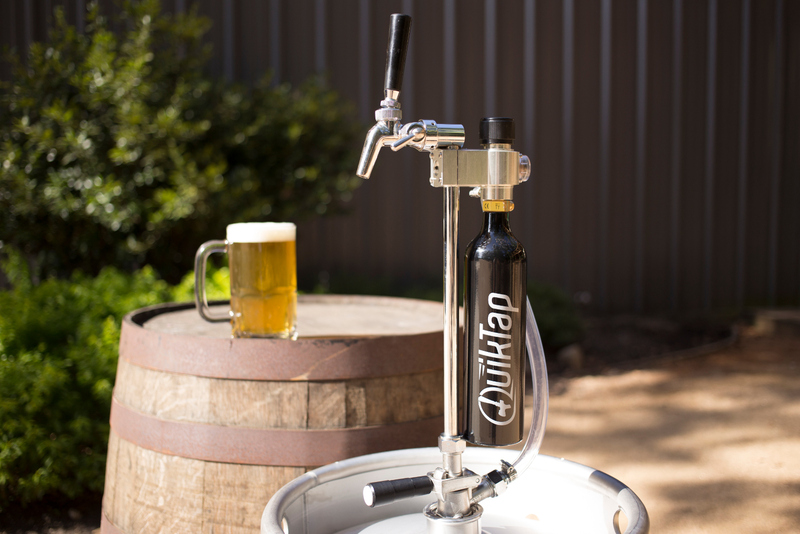 QuikTap dispenses beer with a continuous supply of adjustable CO2 pressure. 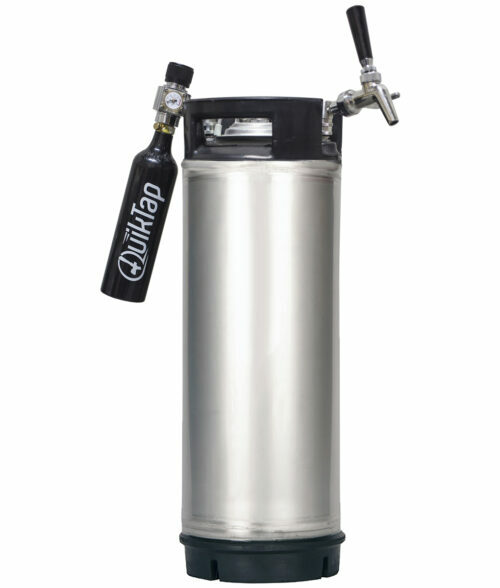 By preventing oxygen exposure, beer stays fresh and carbonated. 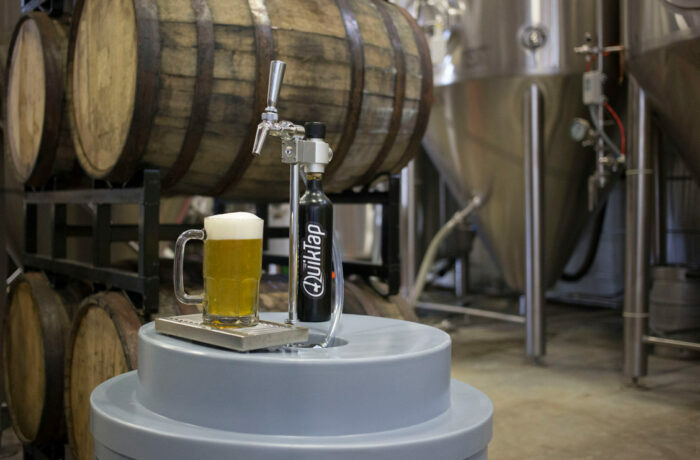 QuikTap keeps beer fresh as long as the date codes set by the brewery. All QuikTaps come with an adjustable, flow-control faucet. 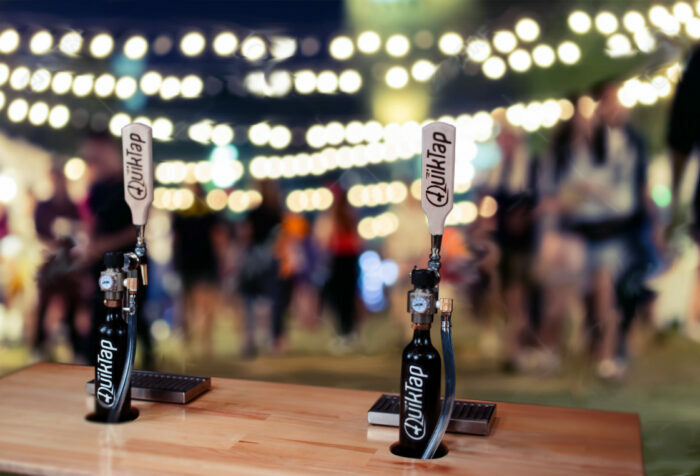 Flow control lets you dial in the perfect pour and serve highly carbonated beers. 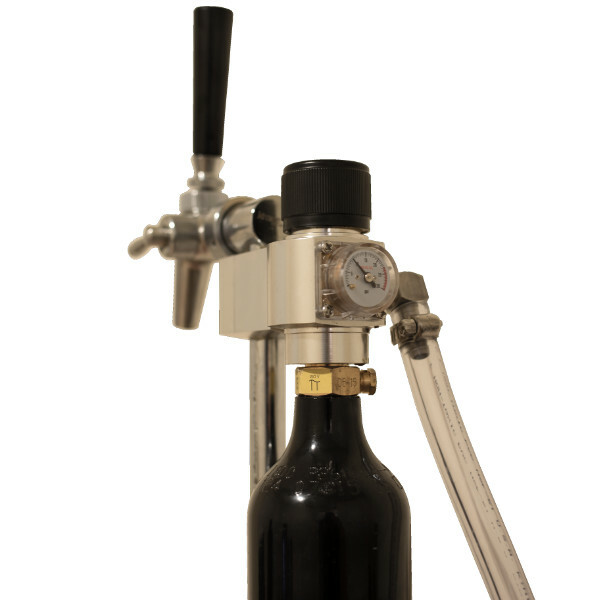 You can even serve soft drinks at high pressure. 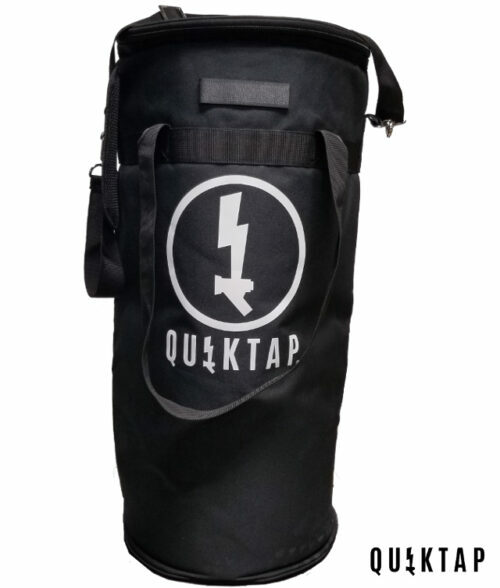 Weighing in at just over 5 pounds, the QuikTap is extremely simple to use. 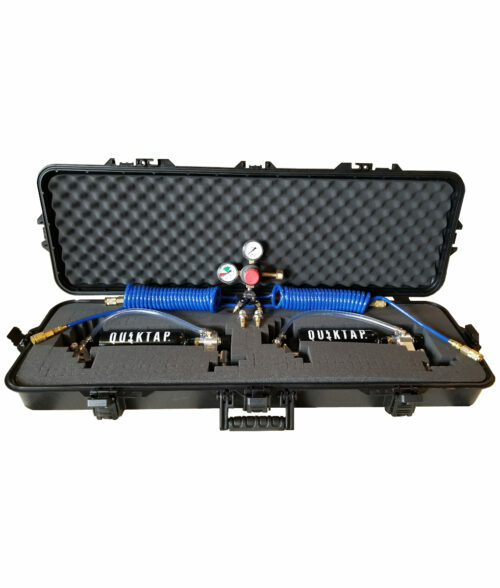 It sets up in seconds and is super easy to clean. 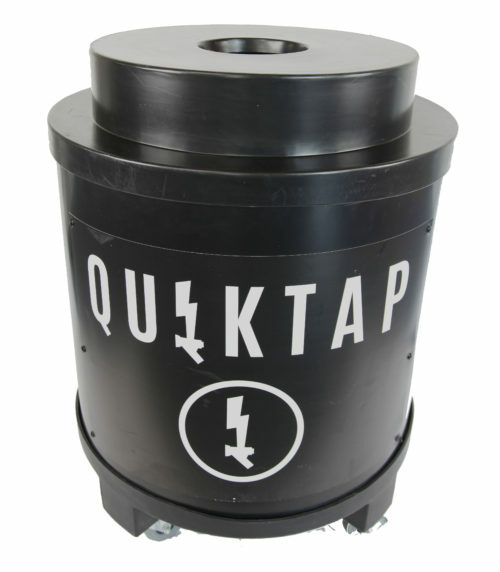 QuikTap brand cylinders are food grade and refillable. 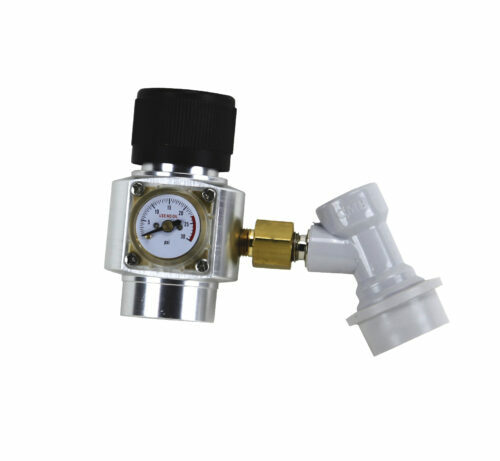 At 5-8 PSI, each cylinder should dispense approximately 15 gallons. 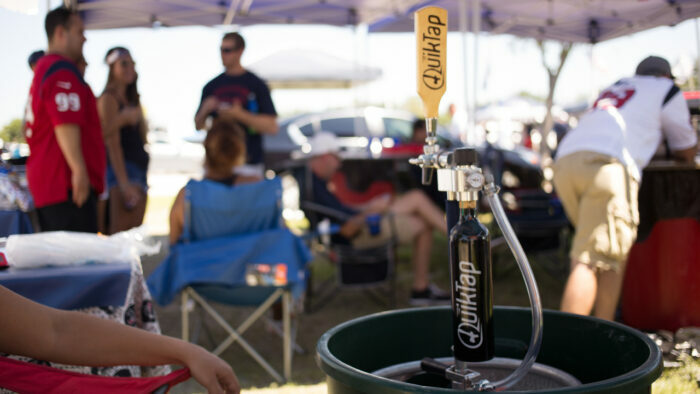 We now only us QuikTaps for our tasting events. Best move ever. I used them Saturday night, SUPERCOOL!!!!!!!!!!!!!!!!!! They added a huge convenience for us since we are mobile, a lot less to carry!! Very pleased, thank you very much! !